Black, Spring - Summer 2019, Made in Italy, Logo on front, Velcro Closure, Rubber sole, Nylon, Mens Shoes: Moschino Sandals for Men, Sandals, Other Colors: White, Multicolor, Available Sizes: 10.5, 9.5, Item Code: mb16024g07-multi." 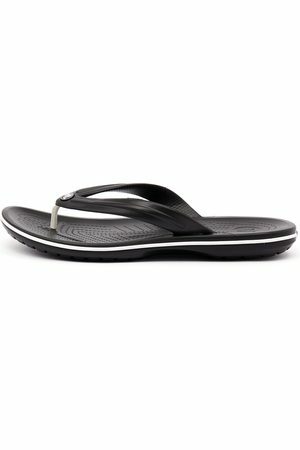 Men's sandals are the ultimate comfort shoe type. These shoes are great for Summer and Spring, or just to wear around the house. 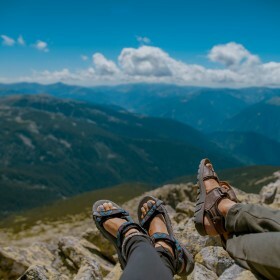 Recently sandals have become a fashion trend, which means more and more designers have been designing a huge array of different style sandals. This casual style goes with jeans for a day out on the town, but also if you want to hit the beach. Use the category filters to find exactly what you're looking for. Want to have a larger selection? Why don't you browse through men's casual shoes for another comfortable option!